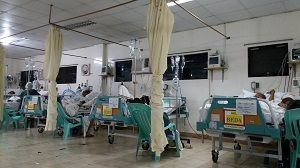 Late last year, when someone in our extended family passed away, I became familiar with some of the death benefits available for beneficiaries in the Philippines. In my extended family’s case, some of these benefits were claimed successfully while the others were denied for various reasons. Can Filipino Immigrants Register to be Philippine SSS Members? 105-Day Expanded Maternity Leave Law Has Been Signed! Nora on Late Philhealth Payments — Can I Pay for Past Months? I answer questions the best I can at the moment I'm writing my answers. Many times, if I'm not sure, I take the time to check circulars, guides, forms, news items, laws, etc. But I cannot be correct every time. So for critical questions, please ask others also to confirm my answers in case I missed something...baka lang merong updates or changes that I missed. Thank you very much for visiting this blog. I've some personal info here, if you're interested. Sorry I was not able to respond to your questions these past few months. I went home to my province to care for my mother in the hospital and at home. She has recovered. I thank God for all His miracles and blessings.